Ok we’re getting to the end of January and those New Year resolutions may still be going strong or they maybe struggling under the weight of new responsibilities or feeling uninspired by the depressing grey weather. Either way if you’re looking for an easy way to do something good and help out our planet over 2019 than you can’t go wrong with an eco-friendly lunch box. Although making the swap to a lunch container is a simple step, it can have a big impact in helping to reduce the amount of waste ending up in landfill or into our oceans. A recent study found that only one third of UK’s plastic food packaging is recycled and alongside ready meals a lot of this packaging comes from takeaways and supermarket bought lunches. 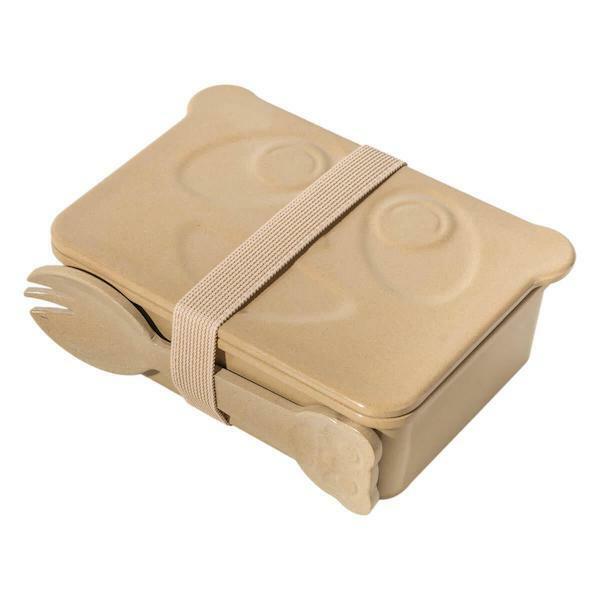 Fortunately, there is an easy solution to this in the form of the trusty eco lunch box, these need two characteristics to be a reliable lunch companion. One they need to be lightweight making them portable and they also need to be a large enough size to fit a variety of meals from the traditional sandwich and crisp combo to more complex meals from your favourite local café. What is especially great now that alongside using for food you make your own a lot of takeaway food places now are happy for their customers to use their own food containers which is a positive step towards creating a greener planet. On Wearth we have a wide range of contemporary sustainable and zero waste lunch boxes in a range of plastic-free materials including stainless steel lunch boxes and even biodegradable food containers made from rice husk! In this blog we explore some of our most popular environmentally friendly lunch boxes for adults and kids making it easy for you to reduce food packaging waste whilst on the move or at the office. 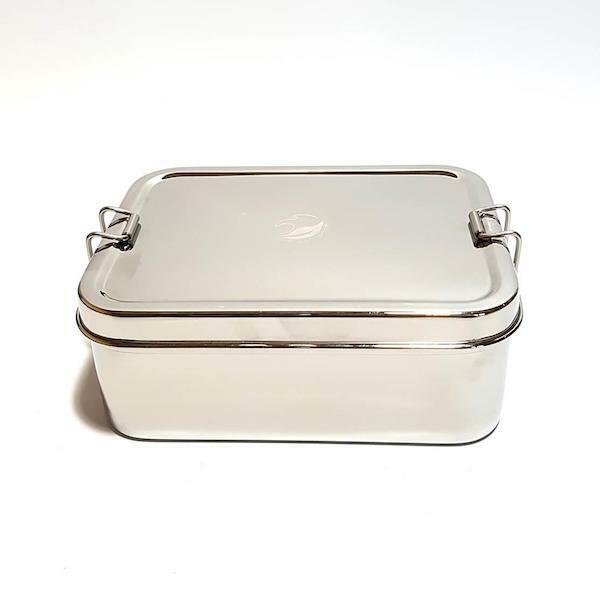 If you are looking for the complete eco-friendly lunch box set then this lunch box made from tough 304 stainless steel with accompanying mini box for snacks is a great fit. Its large size mean it is capable of holding sandwiches and a snack easily, this does however make it a bit less portable compared to some of the other options below. This lunch box set is made by One Green Bottle, a British company who specialise in eco stainless steel water bottles and lunch boxes. They recently gave this extra large food container featured here a face lift and the results make it well worth the investment. You can discover the rest of their collection here. 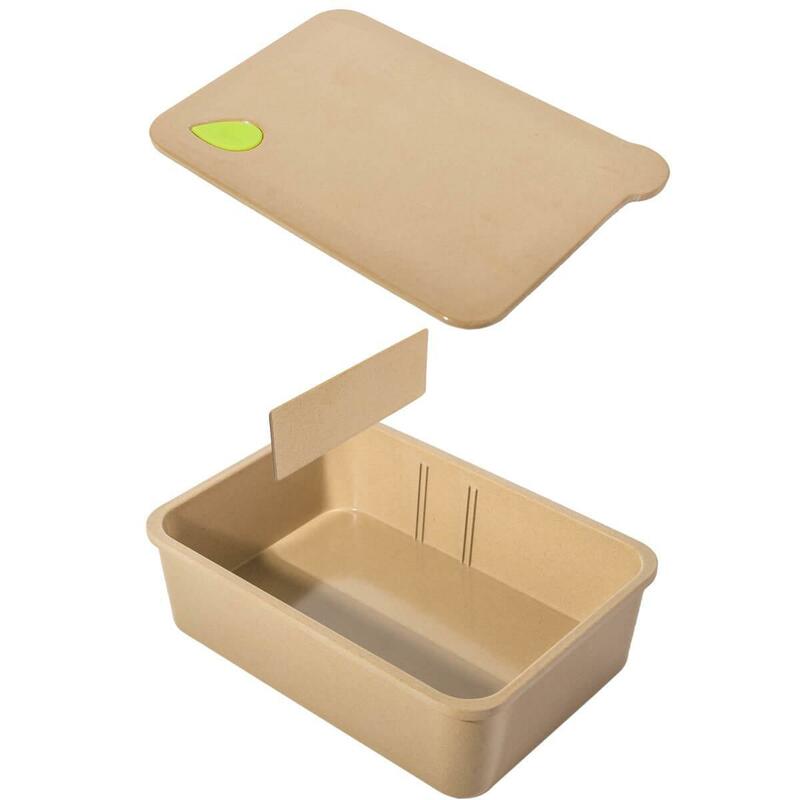 This innovative lunch box for adults is made from non-toxic organic rice husk making it 100% biodegradable and plastic-free. 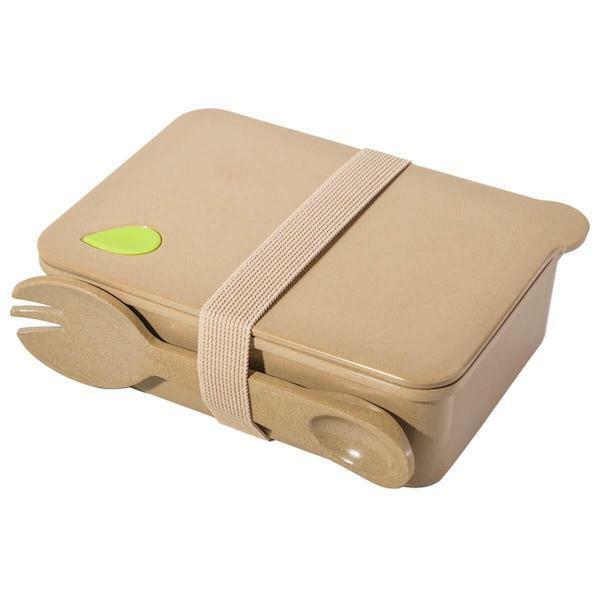 This green lunch box is a compact size making it great for taking to the office everyday and includes as standard a spork, box strap and removable divider. Unlike stainless steel food containers, it is oven and microwave safe making it a very versatile lunch box and you can have yummy leftovers from the night before over the local meal deal! 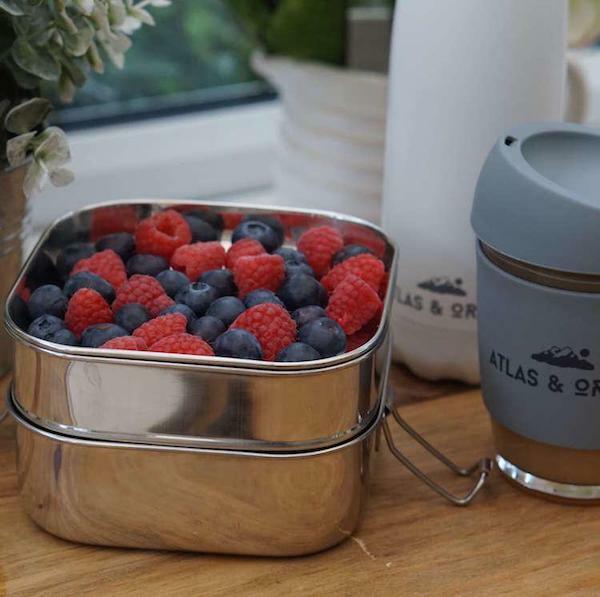 It is made by Nature & My, another UK brand which have a range of modern zero waste lifestyle products including coffee cups, stainless steel straws and bamboo toothbrushes. You can see their entire range here. Unlike the other two lunch boxes featured so far, this is a steel tiffin lunchbox with two layers. The double decker box makes it easy to separate food whilst keeping food fresh and in total there are three compartments. 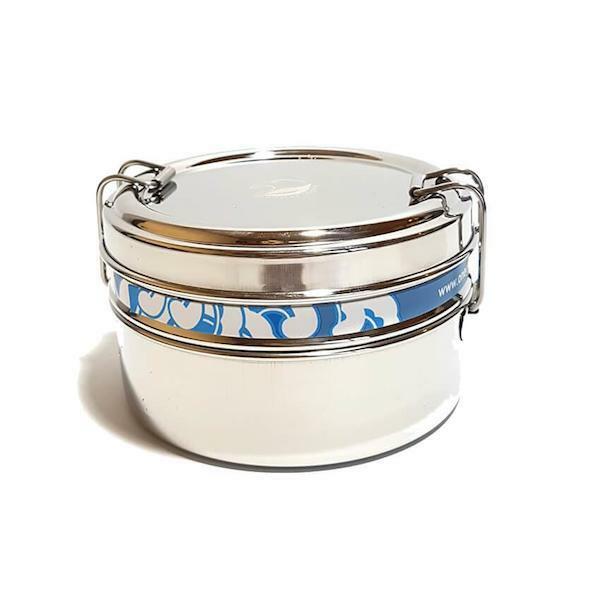 Its relatively compact size make it good for packed lunches, whether you’re up a mountain or at your desk! 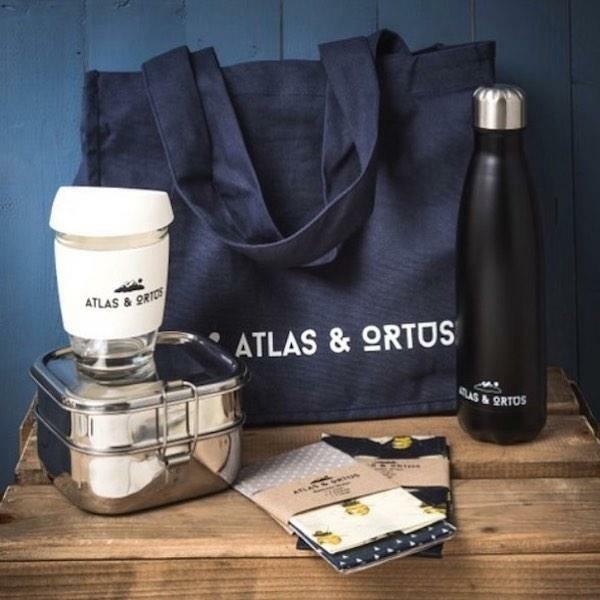 It is made by Atlas & Ortus, a new green lifestyle brand set up by two sisters, Evie & Francesca, with the mission of making functional yet well designed zero waste products. Click here discover more of their products. This children’s lunchbox is the cute version of Nature & My’s organic rice husk lunchbox for adults with Panda face on the front of the lunchbox as well as accompanying panda cutlery. 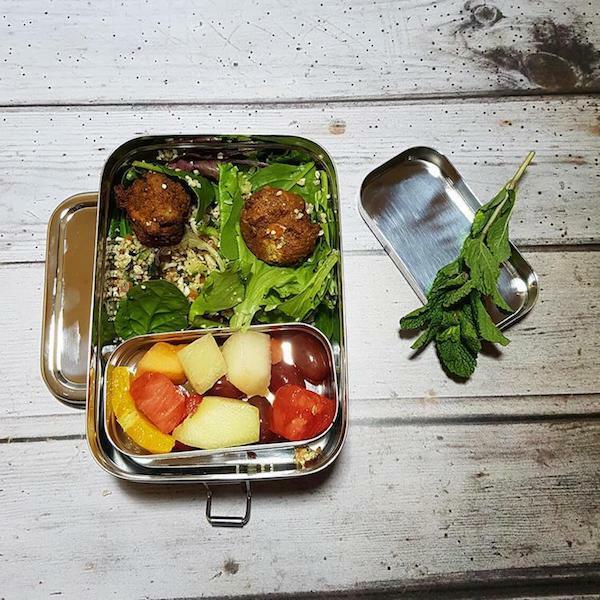 It is lightweight and has a compact size making it the ideal school lunchbox for little eco warriors and has a food grade silicone seal to help keep food fresh. If you are looking for a super simple and portable way of carrying your lunch then these eco lunch bags could be a great option. 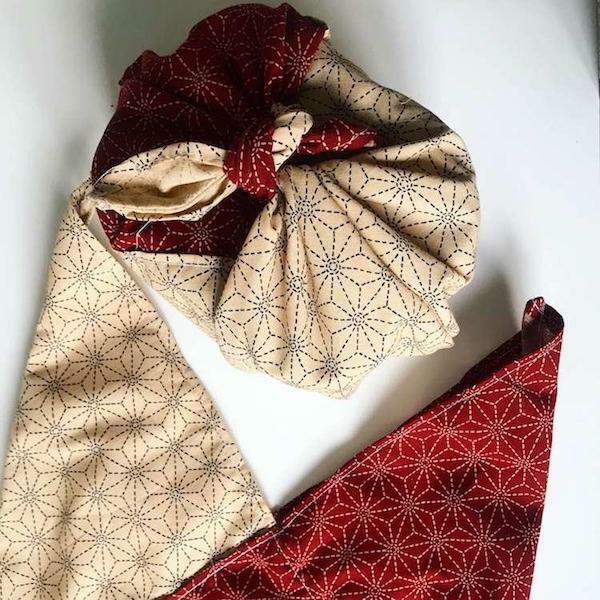 These versatile bento bags are handmade in the UK and the ideal zero waste sandwich bags to take your lunch to work or for picnics (although summer feels a long way away!). There are three sizes available and to use you simply place the food in the middle of the bag and wrap around with a knot to finish. The one downside to using a bento bag over a lunchbox is that you obviously can only use solid foods but giving the economical price there is no reason you can’t use bento bags for certain lunches and then lunch boxes where appropriate. 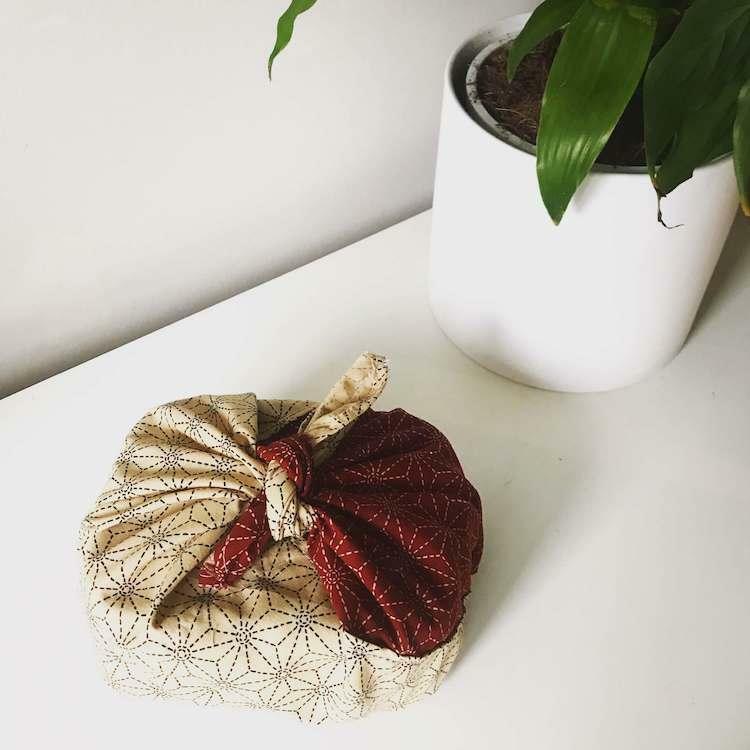 These bento bags are made by Agnes LDN, the brand is run by Sophie who makes all of her products by hand in her studio with an emphasis on creating items which help to reduce single use plastic including natural cotton produce bags and cutlery bags. You can see her range here. Three sizes - small (20cm), medium (30cm) and large (34cm). Circular food containers are nice alternative to square lunch boxes as they are great for food like salads and pasta. 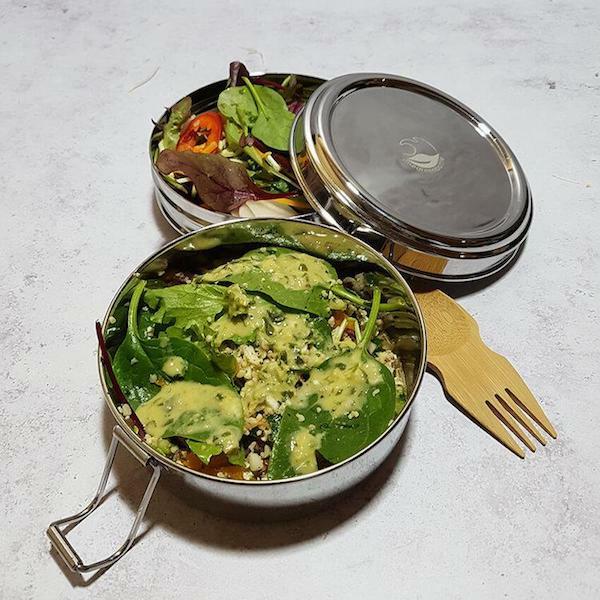 It is made by One Green Bottle from the same high quality steel used in their lunch box set, making it a long lasting and sturdy eco lunch box option and given its quality at £15 it is a value for money option. Thank you for reading about our most popular eco-friendly and plastic-free lunch boxes and food containers. 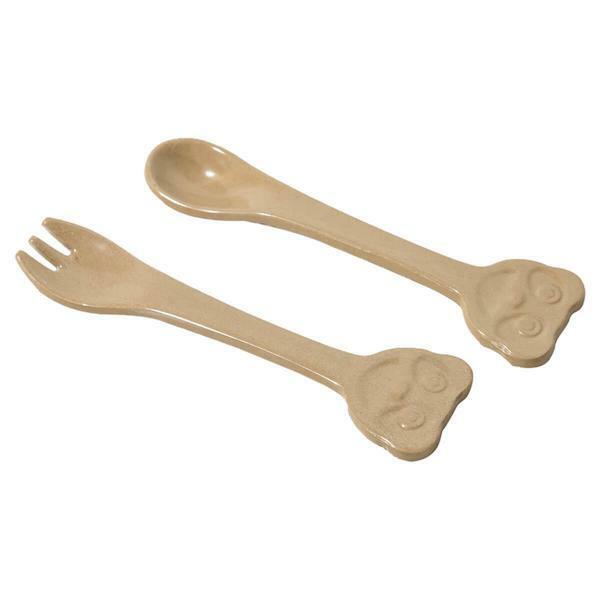 If you’re looking for more products for eating sustainably on the go including cutlery sets, stainless steel water bottles and environmentally-friendly coffee cups, you can check out our zero waste department here.